Prehistoric Beat released on vinyl for the first time! 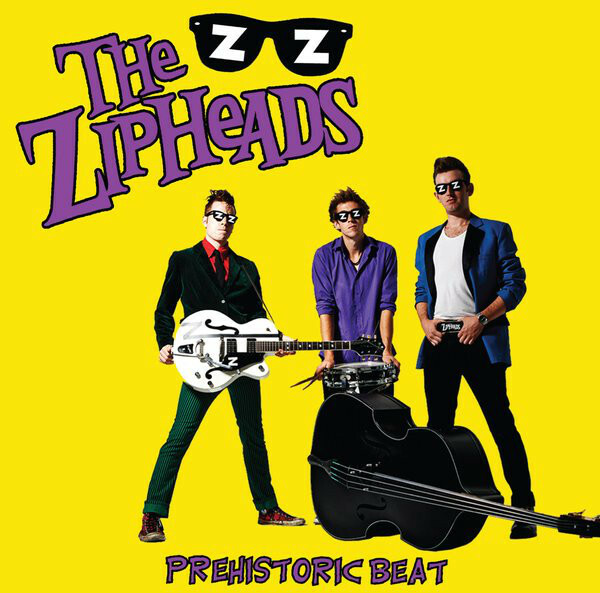 Originally self-released only on CD by the band in September 2013, Bomber Music have re-released the Zipheads’ debut effort Prehistoric Beat, 5 years after its first appearance. The new version is fully remastered, and available on 180g yellow vinyl as well as digipack CD and digital download, and features 2 bonus tracks. ‘Prevenge’ is an instrumental segway into the song ‘Revenge’ that was recorded at the original sessions back in 2013 but later dropped from the track listing of the original album. The album also contains a brand new recording of ‘You’ve Got To Pick A Pocket Or Two’ written by Lionel Bart from the musical Oliver!, a staple of the Zipheads recent live shows, finally pinned down in the studio. The Zipheads hail from St Albans, UK. They play Rock'n'Roll infused with punk, surf, swing, ska, soul, reggae and irish influences as well as most other types of music you could care to imagine. They have recorded 2 full length albums as well as a 7" single and played hundreds of shows across the UK and Europe. When not touring or recording they enjoy arguing with each other and watching Father Ted.